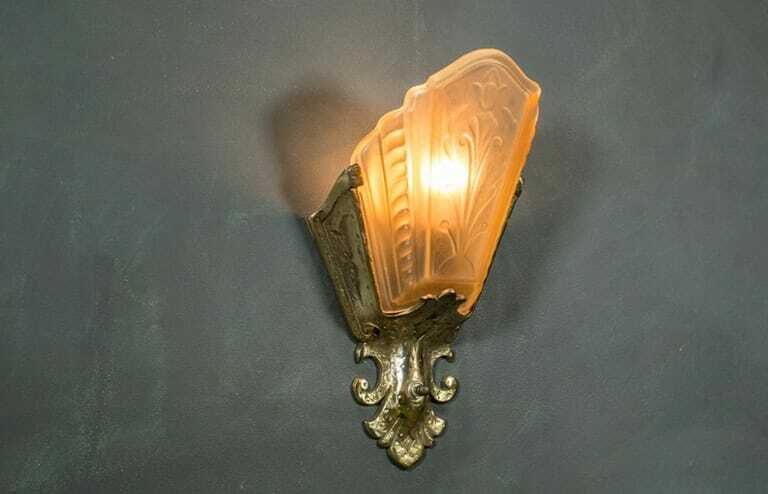 Pair of plated steel sconces with undeniable Art Deco flair. Frosted amber slip shade glass panels embossed with a stylized floral motif. Rotary switch.